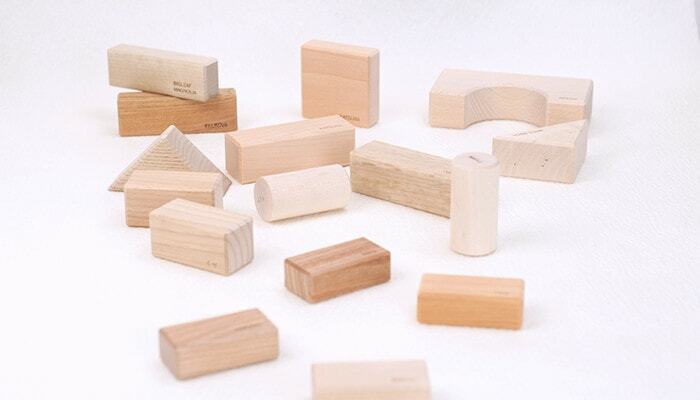 These are children’s wooden building blocks made of Japanese solid natural wood. 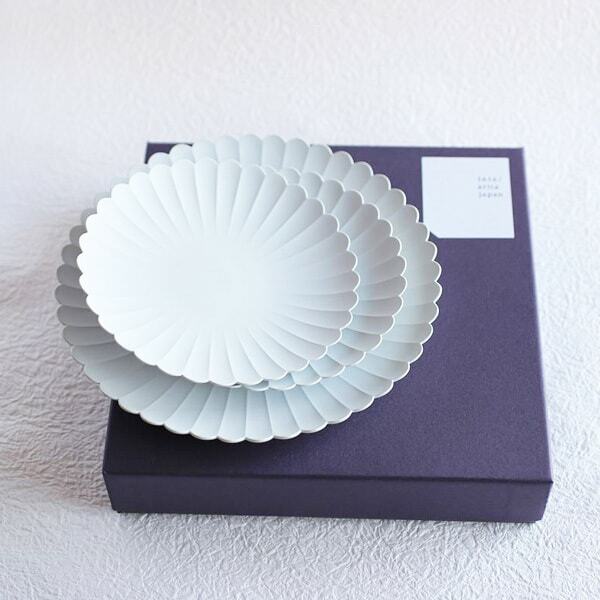 When you open the box, you can smell the wooden fragrance. It is the fragrance of Japanese forest. Oak Village produces this children’s building blocks. 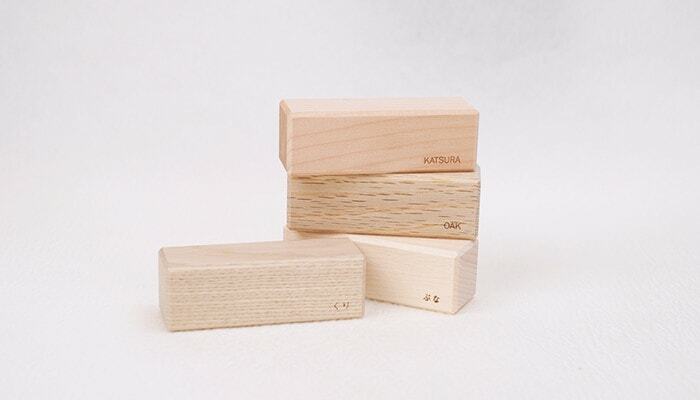 All wooden blocks have the natural color of Japanese trees. So, they are colorful without any paintings. Natural wooden building blocks are suitable items for gift as celebration of a birth or children’s birthday. What is a safe toy for children? See, touch, listen, lick… Babies learn and absorb everything in the world by their five senses. For the babies, most important thing is safety. 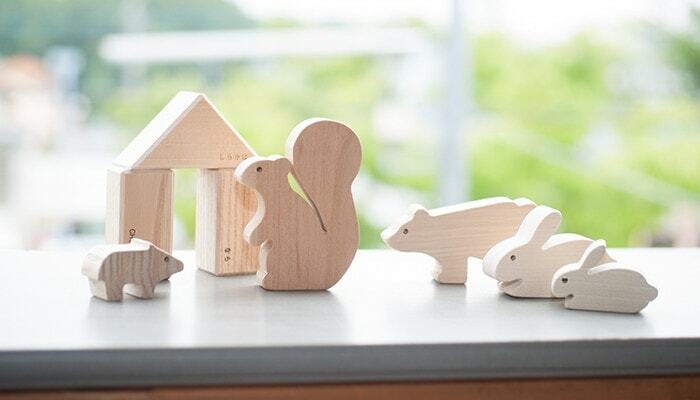 Children’s wooden building blocks of Oak Village are made of Japanese wood without any paintings. Babies can lick the wooden blocks at ease. 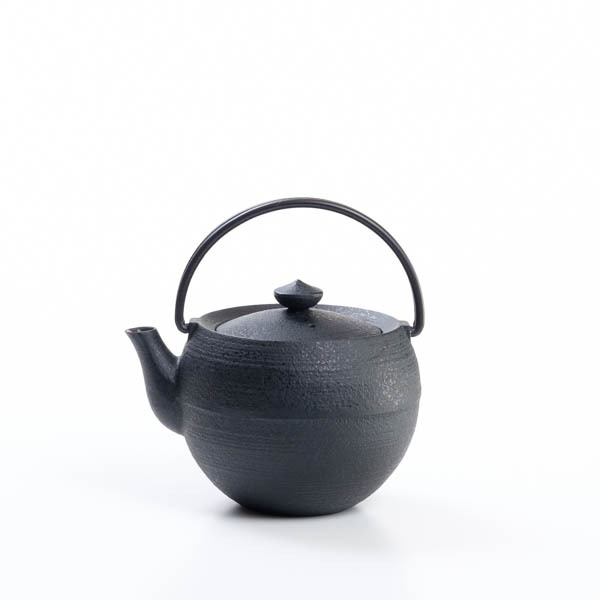 The woods are Japanese solid natural wood. Solid natural wood is the genuine wood, not a plywood or glued laminated wood. The craftsmen in Hida Takayama shave and smooth each wooden block. Oak Village offers 3 types of children’s wooden building blocks; “Wood blocks in a box,” “Wood blocks of the Forest animals” and “Wood blocks of Marine life.” All wooden blocks do not have sharp-pointed pieces. The craftsmen shave the all corners of each wooden blocks. This procedure is called Mentori (plane off the corners). In addition, all wooden blocks are so big that babies cannot swallow the blocks. Babies can touch and lick the children’s wooden building blocks at ease. Oak Village use proper woods for the use of products. 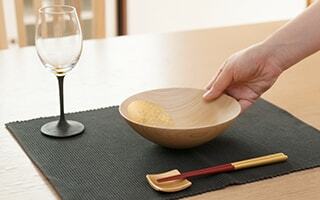 They produce small products such as wooden bowls to large products like a house. The natural wooden building blocks were born from the lumber remnants of other products. 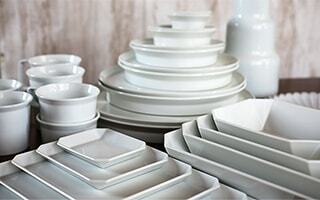 Oak Village produces the products adjusting to the rhythm of forest, not by their commitments. Therefore, they lay in a stock different kinds of woods every year. 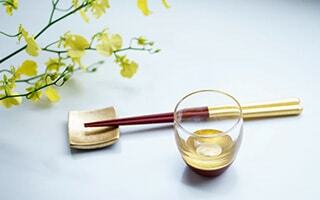 Accompany to it, the woods for natural wooden building blocks change. 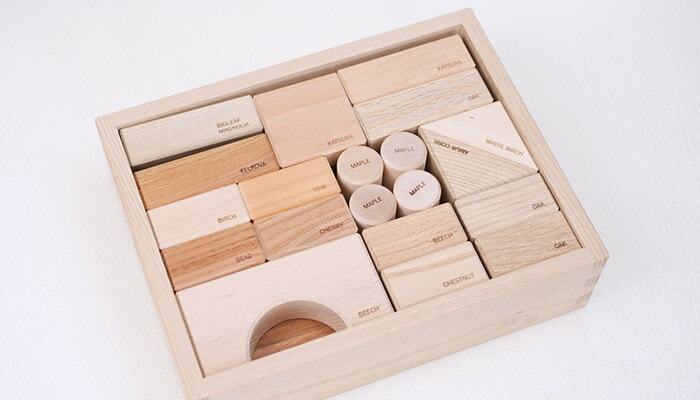 The combination of wooden blocks is the only one in the world. Even the same wood has different color or grain. Natural wooden building blocks of Oak Village are rich in variety. The unique texture of wooden blocks influence the delicate five senses of babies. It is an educational toy. Babies can enjoy colorful wooden blocks. Also, children can have a sense of achievement by making beautiful castles or houses. The sound of wood blocks is very comfortable. Each wood makes different sound. Children can feel the fragrance of wood. 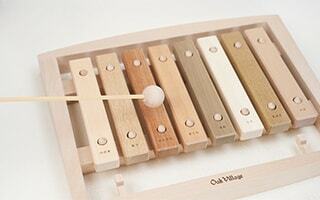 As same as the color and sound, babies can enjoy different scent of wood. As we mentioned, the natural wooden building blocks are safe material and forms. 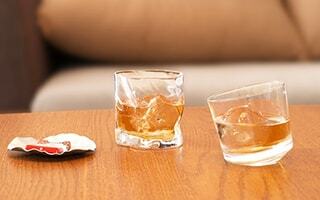 Surprisingly, the tastes differ from the kinds of woods…! This wooden toy has the warmth of genuine wood. Rough, smooth, moist, dry, etc. Same wooden blocks have different texture and weight depend on the lumbers. Babies can touch and feel the difference of blocks. When they grow up, children can pile up wooden blocks. As the babies get grow, children change the way to play. 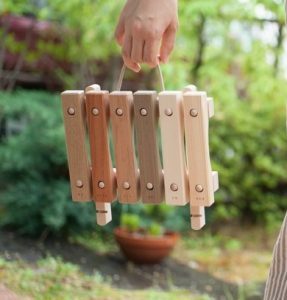 Children’s wooden building blocks are long-use wooden toy. 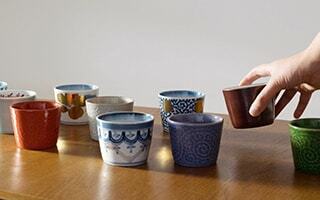 Various touch, weight, colors, and fragrance of wood. 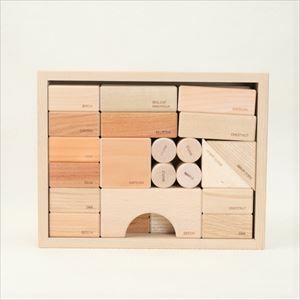 For important babyhood, the natural wooden building blocks are recommended items. This is a principle of Oak Village. The children’s wooden building blocks of Oak Village do not end when a child finish playing the wooden blocks. When the child become a parent, new baby can play the natural wooden building blocks. And it will be inherited to the next generation. High-quality wooden building blocks can be inherited for 100 years. 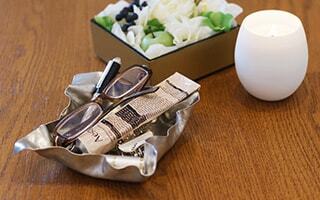 Oak Village has the concept of coexistence with environment. They deal with more than 30 kinds of Japanese woods. Japanese climate has wide range from subarctic zone to subtropical zone. The wide climate of Japan raises various kinds of woods. In fact, 67 % of Japanese land is covered with forest. Japan is the second largest forested country in the world. 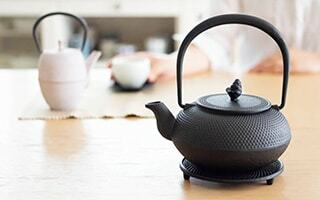 Using various woods in Japan, Oak Village produces various wooden products; wooden architecture, furniture, lacquerware, stationeries, and wooden toys. Since its establishment in 1974, Oak Village proposes the life with natural material. 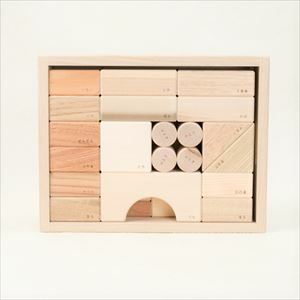 “Wood blocks in a box” got trust as the sample of woods. Many museum shops and select shops sell this “Wood blocks in a box.” In fact, this wooden toy has been a long-seller for 40 years. This children’s wooden building blocks were born from the procedure of manufacturing various products. So, it can be said that this children’s wooden building blocks are the symbol of the concept of Oak Village. 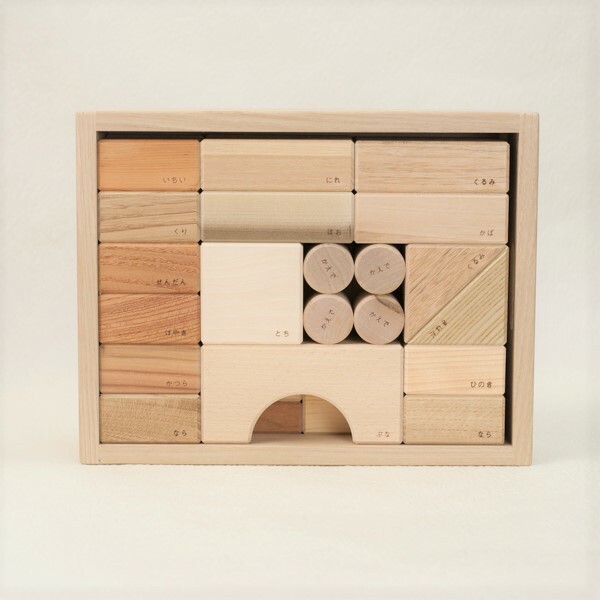 “Wood blocks in a box” has about 38 pieces consists of about 12 kinds of woods; oak, horse chestnut, cypress, bigleaf magnolia, maple etc. 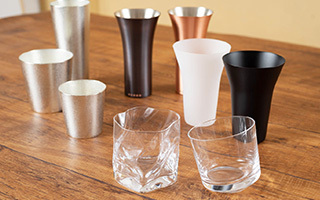 Each piece has the name of the wood. 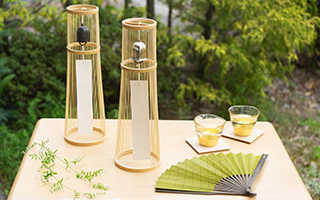 You and children can know about Japanese wood. 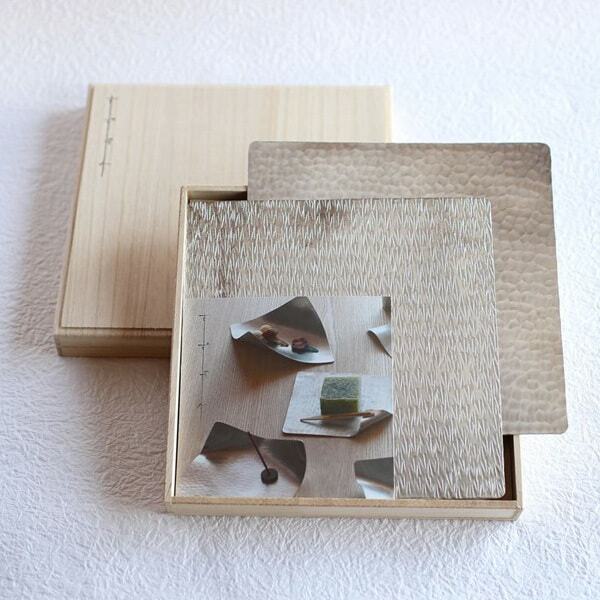 In the “Wood blocks in a box (English),” all pieces have both English and Japanese name of the wood. One side has English name, and the other side has Japanese name. Children can learn English and Japanese at the same time. 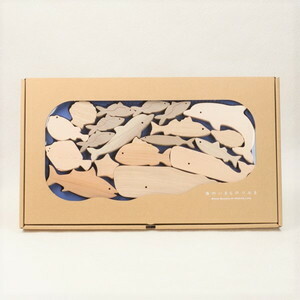 In addition, a guide book of trees “Forest museum” is attached to the children’s wooden building blocks. The guide book is written in Japanese only. However, you can see pictures of Japanese woods. 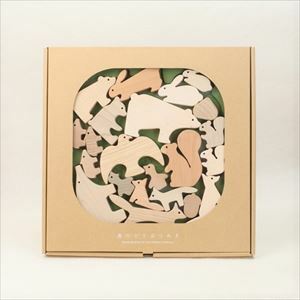 “Wood blocks of the Forest animals” and “Wood blocks of Marine life” have cute animals pieces in packages like puzzle. 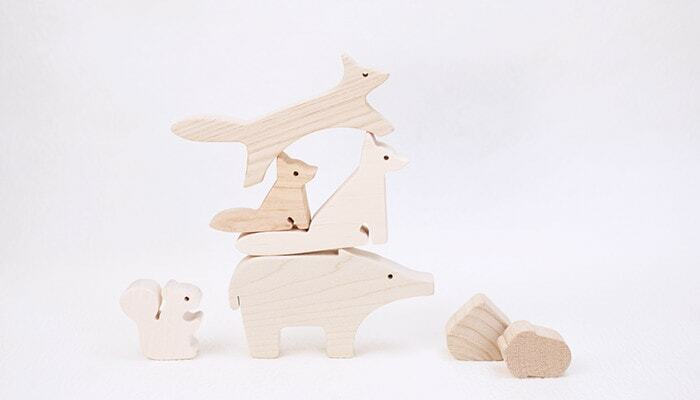 The animal wooden building blocks express the link of forest and sea, animals’ ecosystem, and families or couples of animals. A writer of picture books Kanayo Sugiyama designed these lively animals. 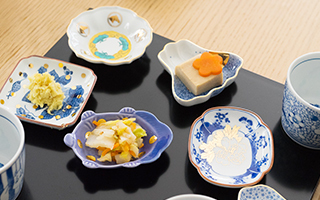 The craftsmen in Hida Takayama finish up each piece carefully. Japan is an island country, surrounded by the sea. The marine life of “Wood blocks of Marine life” are familiar with Japanese people. The marine life varies from small fishes to big animal. If you look carefully, you can find oyster! Isn’t it very rare that oyster motif toy? There is an important message here. The fishing ground of oysters are built near the estuary of sea. River carries the nutrients of forest. The phytoplankton is nurtured by the nutrients of forest. And oysters eat the phytoplankton. When the forest is destroyed, seaweed and phytoplankton will decrease. Then, oysters and fishes who eat those plankton will decrease. Destruction of forest means the destruction of sea. To save the ecosystem of sea, we need to save forest. 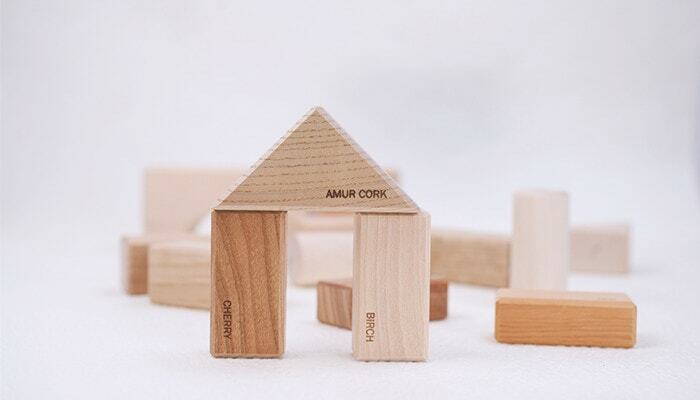 The children’s wooden building blocks of Oak Village are not just wooden toy. 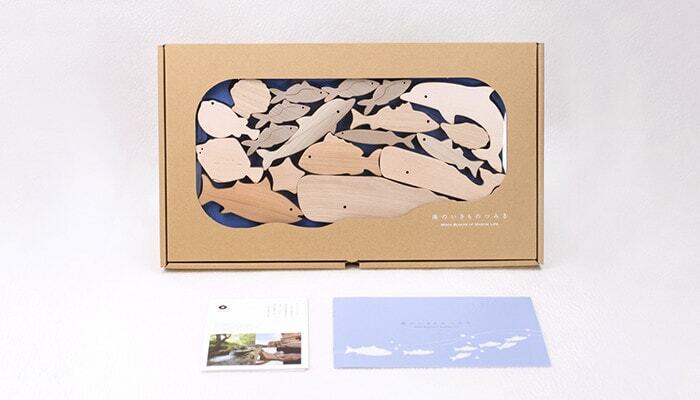 “Wood blocks of the Forest animals” and “Wood blocks of Marine life” send a message. In addition to use as children’s wooden building blocks, children can play make-believe game or house with them. The package has the pictures of pieces. 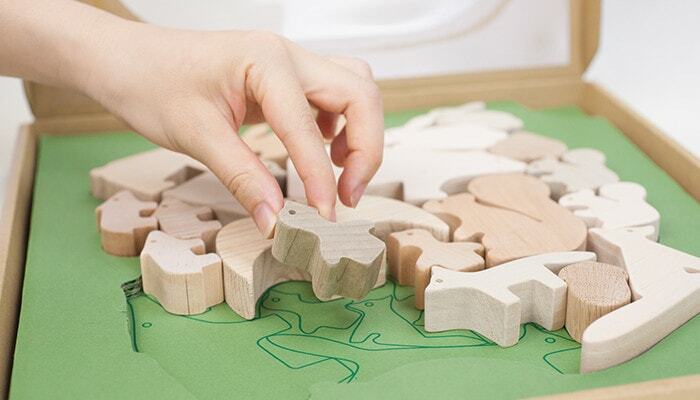 Children can put pieces in order like making puzzle. The attached pamphlet has English instruction as well. How long can children play natural wooden building blocks? Wooden building blocks have been popular for the celebration of a birth or birthday present for the first birthday of babies. But how long can children play wooden building blocks? In fact, children can play wooden building blocks from baby to 6 years old. As the children grows up, they change their way to play. Children’s wooden building blocks can adopt to the development of children. Here, let us introduce how to play children’s building blocks depend on the age. Babies are interested in the forms, colors, and materials of children’s wooden building blocks. When they become to grab the blocks, they start to lick the blocks. About 10 months, babies start to pile up or knock down the building blocks. Before they pile up the blocks, babies learn the forms of things by touching things. 1 year old baby can pile up or put the children’s wooden building blocks in order. Babies can pile small blocks on the big blocks, or collect same-form blocks and put them in order. 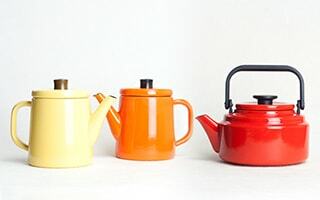 We can see the distinction of sizes and colors in 1 year old babies’ playing. Also, 1 year old babies can make-believe game with the building blocks. When babies get 2~3 years old, they become to understand language and they express their own mind. 2~3 years babies create what they like or would like to create as compared to 1 year old. They become able to create bigger structure with more blocks. The experience of making things with the image trains babies’ imagination. When children become 3~5 years old, they start to think and figure out better way by themselves. Piling up higher, or creating train or house by changing the way of putting or directions of blocks. They combine building blocks with other toys such as dolls or minicars. They broaden the imaginative world. 3~5 years old children master more and more power of imagination and expression. Children’s wooden building blocks of Oak Village work when children play at make-believe. 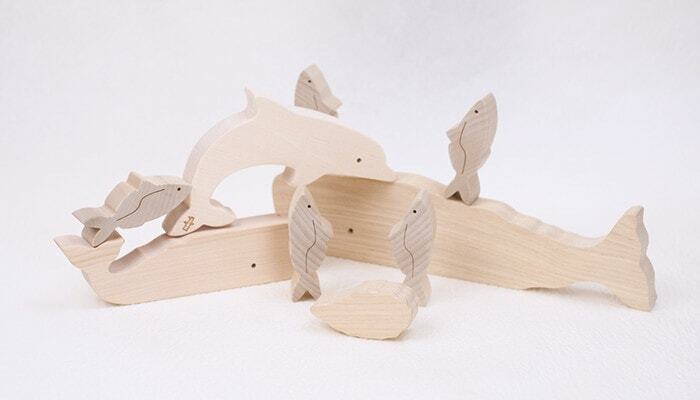 “Wood blocks of the Forest animals” and “Wood blocks of Marine life” are suitable item for playing dolls. Children can make families and play house. When children become 6 years old and older, children can enjoy imaginative stories or sceneries. Building blocks make it possible for children to express imaginative world in the concrete, and nurture power of concentration and space recognition. Many wooden building blocks gather other friends or brothers or sisters. Children can learn cooperativeness through playing children’s wooden building blocks. During children try to improve, children get challenging mind and skillful fingers. Also, playing in imaginative world makes creativity. Once children start to play house, wonderful stories will be born from wooden building blocks. Sometimes, carefully made tower may be knocked down in a short time. But children get more concentration and control of their mind by overcoming the mistake and create again. Parents can see the growth of children and babies clearly from building blocks. One day, children become able to do a thing which they have not been able to do it the day before. Parents have many chances to be surprised at the children’s growth. Wooden building blocks are strongly recommended educational toy. Once your children create something, please praise them. Talk with your children. 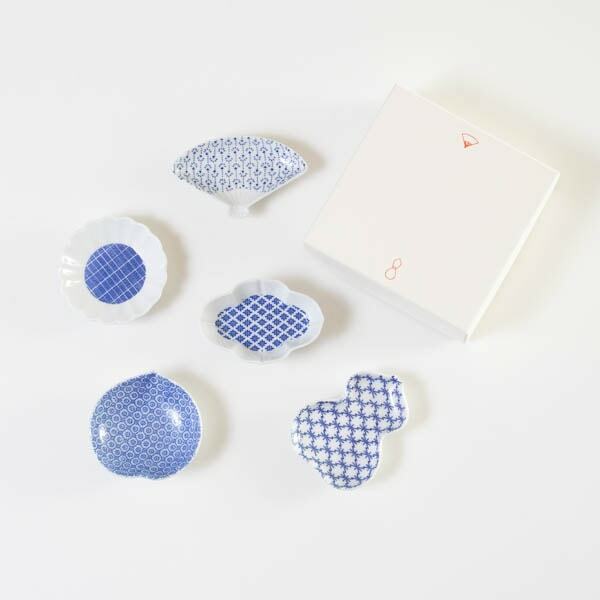 That will evoke more creativity of children and make great communication of family. The building blocks of Oak Village is a natural wooden building blocks made of solid natural wood. From the childhood, children can touch the real texture of wood. Also, children can learn challenging mind through playing children’s building blocks. 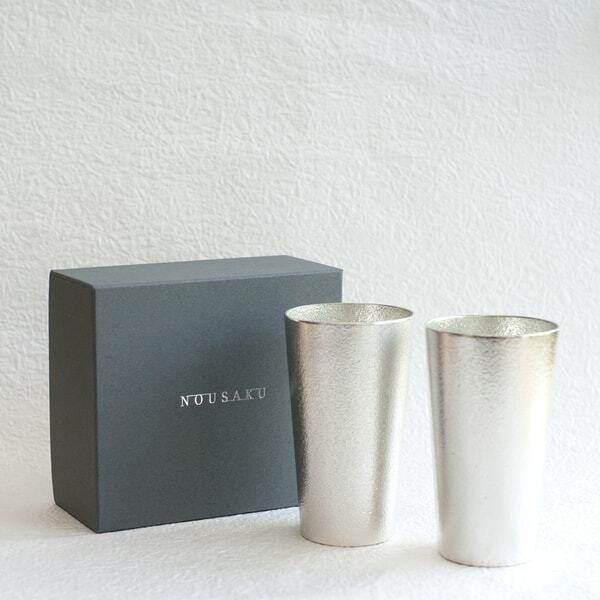 Recommended item for gifts as celebration of a birth. Children learn and develop the will to live through playing. Playful mind enriches our life. That is true for adults, too. “Skill of play” means the skill of feeling, seeing, listening, communication, and dreaming. Three of children’s wooden building blocks of Oak Village won the Good Toy Awards. “Wood blocks in a box” won it in 2012, “Wood blocks of the Forest animals” won it in 2013, and “Wood blocks of Marine life” won it in 2017. Children’s wooden building blocks can be played alone or with friends. 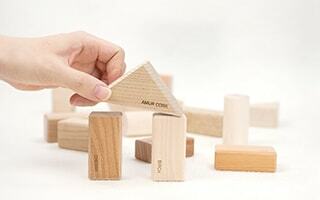 In addition, the children’s wooden building blocks can promote the communication of family. 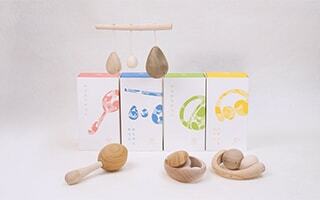 How about sending safe and high-quality wooden toy for babies? All series of natural wooden building blocks of Oak Village are suitable for both boys and girls. 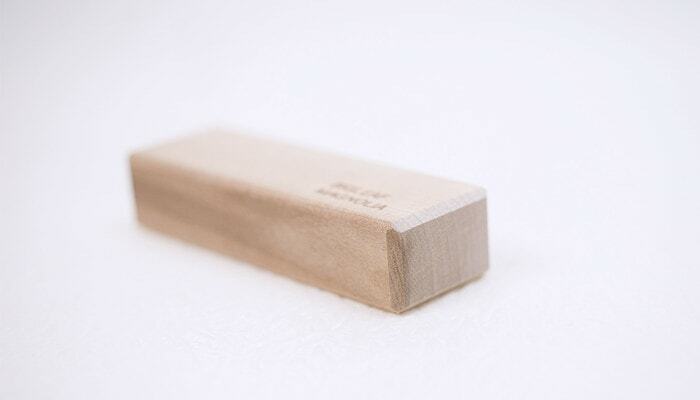 Children’s wooden building blocks are made of solid natural Japanese wood without any paintings. 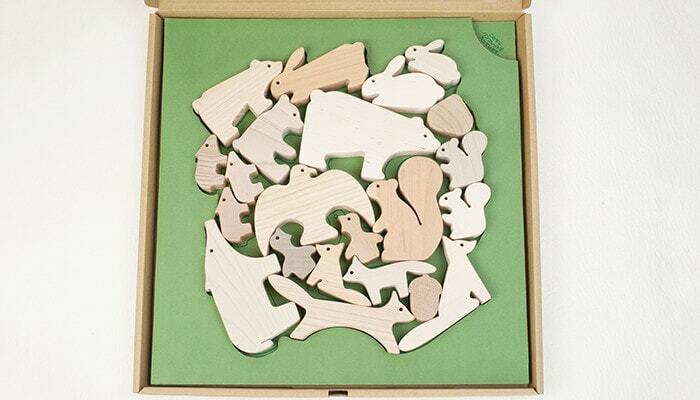 The parents of babies will be happy with these safe educational wooden toys. You do not need special care for the children’s wooden building blocks. When the babies lick the wooden blocks, just wipe it with wet tissues and dry them. With stylish wooden building blocks, please see the growth of your babies and have a good time with your family.